This game takes online slots and adds a bingo element to it! Gaming Realms recently bought Slingo as a developer, in 2015. This has enabled them to add to their ever-growing online and social games which they have given themselves great pride in, as they have markets globally across multiple gaming and merchandise categories including lotteries, gaming machines, social slots and casual game web portals. This is the ultimate game where you can combine your love for bingo and slot machines all in the same place! Whether you associate yourself with lucky number 7, doctor’s orders number 9 or Dancing Queen 17, this much-loved game, that has been on the tables since 1994, has become a real classic within the online casino industry. What makes this game even better is that over the years, it has developed into different spinoffs and themes to keep up to date with the current gaming market. These game modes include the Slingo Quest series which followed the theme of places such as Hawaii, the Amazon and Egypt. 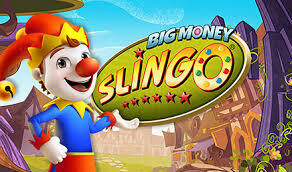 In terms of casino versions, there are titles such as Triple Slingo Jackpot, Slingo Bonus Reel Slots and Singlo Bonus Deluxe. We encourage you to be as keen as the number 15 to check out the rest of these titles once you have grasped the basics with this version of the game! The main objective of the game is to clickety click like the number 66 and blot out the 5 numbers that you are given at the beginning of the game. In each game, you are provided with 20 spins to find these numbers, each turn will spin the reels revealing numbers ranged from 1 – 90, just like your typical bingo game! 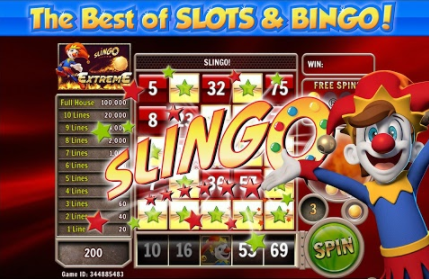 However, what makes it a world away from the mundane bingo hall experience, is there are extra features to enjoy whilst searching for the numbers, which are highly reminiscent of the slot-game features you will have grown used to. For instance, there is the joker wild which can be applied to any number in the column in which it appears, eradicating that one, which gives you a chance to reveal another number which might be one of the 5 numbers on your bingo card. What is another striking difference to both bingo and slot-games, is that there is an icon which can push you back from winning by cutting your score in half. This feature is represented by a devil icon but often enough, a cherub also appears and removes the devil from the board before it gets a chance at seizing your hard-earned points! But regardless of this, it is certainly a feature that will keep you on your toes. With the minimum bet starting at just 50p, and the max set at £200, there, there’s every chance of getting to top of the shop 90! This slot-game will be far from putting you to sleep, you’ll be staying alive like the number 85 in the hope of winning big time! and with the minimum bet starting at just 50, there will be no grandma’s getting frisky at 60 in this game, just lots of fun for all ages! The most popular slot on our site is fluffy favourites.